A doctor is not responsible for a patient having cancer. But, a physician can be responsible for cancer misdiagnosis and the consequences of cancer misdiagnosis. The billboards and magazine article have made it very clear – when it comes to breast cancer, there is tremendous value in early detection by patients through self-examination. But when a woman does perform a self-exam and finds a lump, only to be told by her physician that she has nothing to worry about and that those signs don’t warrant further testing, that’s medical malpractice. Cancer is an aggressive disease, and delay in beginning treatment can lead to needless suffering and even to a patient’s death. Breast cancer is the second leading cause of cancer deaths in women today. The difference between Stage I and Stage IV breast cancer drops survival rates by more than 80%! If, for one of – or a combination of – these reasons, you or someone in your family suffered permanent physical and financial damage related to breast cancer that was misdiagnosed, diagnosed too late, or incorrectly treated, you may decide to sue the medical provider and at least get monetary help dealing with your injuries and with the pain and suffering you’ve undergone. Typically, in breast cancer cases there are several different physicians involved, rather than just one. You may have seen a primary care doctor, a radiologist, and an oncologist. Sometimes the “medical mistake” is actually a failure of communication among the different physicians. If your primary care physician, for example, ordered a mammogram without specifying that it should be a diagnostic mammogram, the radiologist may do a generalized screening mammogram, since attention was not called to a particular area of the breast that needed closer examination. Similarly, the surgeon who performed a biopsy needs to be in close touch with the primary physician and/or oncologist. Who will pay you? Well, in the state of Indiana, physicians are responsible only for the first $400,000 in damages to any one patient. If you are awarded more than that, the excess – up to $1.6 million dollars – will come from the state’s Patient Compensation Fund (this increases to $1.8 million in 2019). You must file your malpractice claim within two years of the time you believe the malpractice took place. (You may not have discovered that negligence until months or even years after the mistake happened; only an experienced malpractice lawyer would know how to determine the applicable period for the “statute of limitations” as it applies to your case.) In the State of Indiana, patients must first file a proposed complaint with the Indiana Department of Insurance. The headline of an Ob.Gyn.News article reads: “Delayed diagnosis tops breast cancer malpractice claims” Reporter Alicia Gallegos writes about a study of 562 medical malpractice claims during the years 2009 to 2014. 61% of those claims related to claims of delay in diagnosing breast cancer. The other 39%, Gallegos adds, stemmed from claims of negligent treatment of patients. 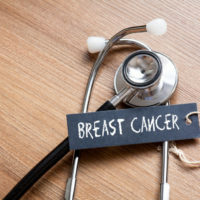 “The vast majority of patients who had a delayed diagnosis of breast cancer were seriously harmed, with 70% of cases resulting in very severe outcomes, including 43 patient deaths,” according to the report. The attorneys at Ramey and Hailey have more than forty years of experience representing victims in failure-to-diagnose cases. We know that, while no doctor is responsible for your having breast cancer, physicians can be held responsible for delay, and misdiagnosis.